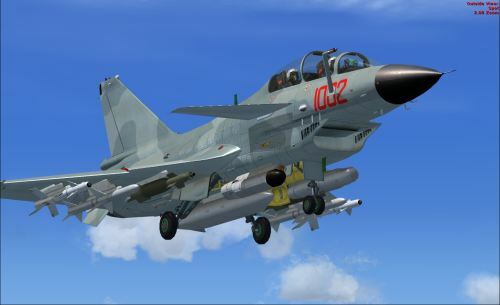 Bear Studios has released the Chengdu J-10 'Vigorous Dragon' for FSX and FS2004. Details at Flight1 Software. 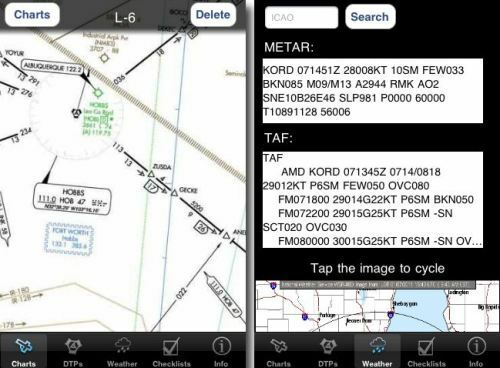 Inquisitive Graphics has released FS Kneeboard for iPhone and iPad. More information at the Inquisitive Graphics Website. Aviation Multimedia Studios (AVS) Cancun 2011 AFCAD and FlyMex compatibility updates are available at AVS. 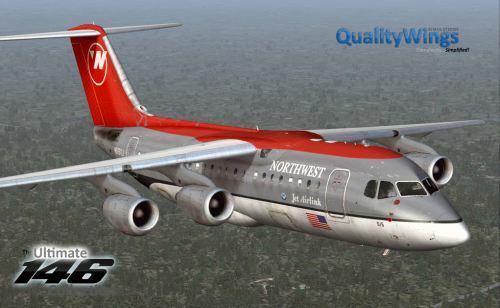 QualityWings has posted new livery previews from the BAe146/Avro RJ for FSX and FS2004 in the QualityWings Forums. 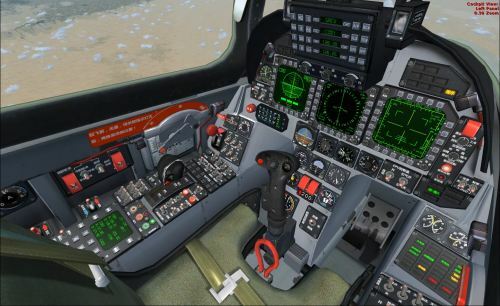 Aerosoft has posted three more Stavanger X (ENZV) for FSX preview screenshots in the Aerosoft Forums. 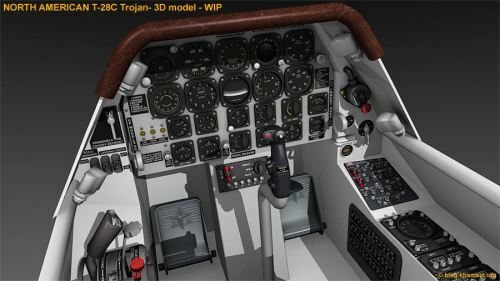 Leading Edge Simulations has posted previews of the HSI from the Saab 340 project for X-Plane in the LES Forums. PMDG has posted new screenshots from the upcoming Boeing 737 NGX for FSX on the PMDG Facebook Page. 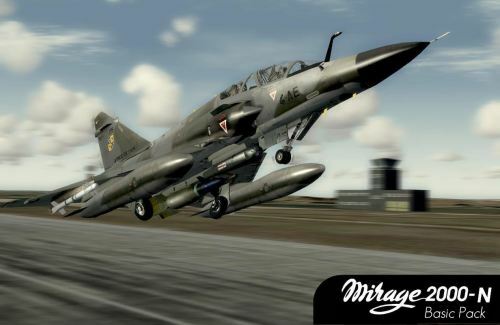 The freeware Dassault Mirage 2000N EC 2/4 v2.0 Armed Package is now available for FSX. Download at Simviation. 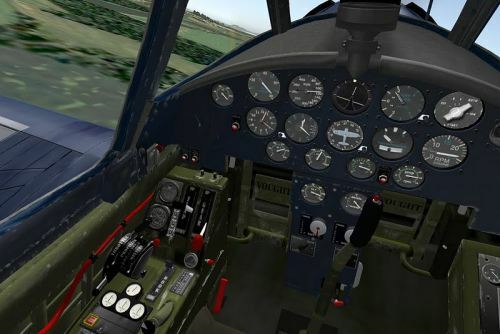 Classics Hangar has posted previews from the Messerschmitt BF-108 'Taifun' for FSX in the Classics Hangar Forums. 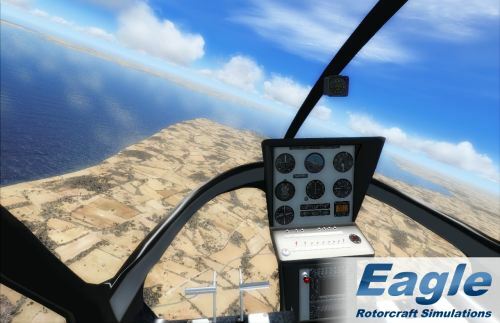 Eagle Rotorcraft Simulations has released the freeware Enstrom 280FX for FSX. 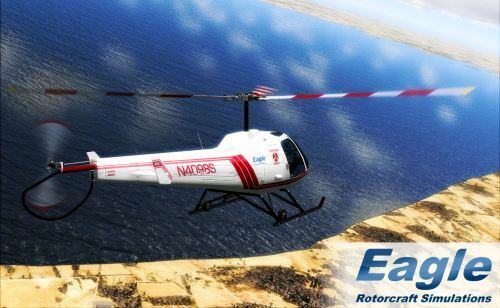 Details at Eagle Rotorcraft Simulations. 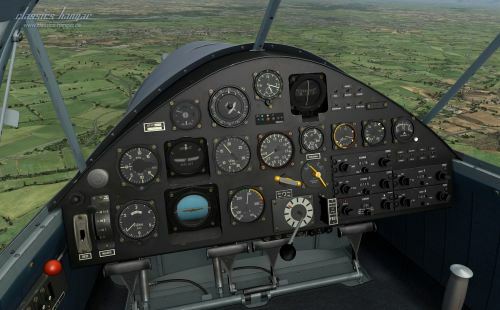 Aerosoft has posted a beta patch version 1.01 for the Diamond DA20-100 'Katana' 4X in the Aerosoft Forums. [NEW FEATURE] Aircraft and cockpit cleaning through service. [NEW FEATURE] Fuel quantity will be saved in Realistic Mode. [FIXED] Battery recharges too fast during service. [FIXED] Ident sound can be heard also NAV Ident knob is not pulled. [FIXED] Some COM frequencies in realistic radio modes cannot be set. [FIXED] Canopy can't be opened before using SHIFT+E when the aircraft has been loaded in parked condition. [FIXED] Airspeed Indicator, Vertical Speed Indicator and Altitude Indicator not working in Simple Mode. [FIXED] On some systems Attitude Indicator, GPS and other systems may quit duty after a while. [FIXED] When a wheel frairing has been broken, no new one may be installed in the Equipment Menu. [FIXED] If the engine is stopped inflight, the generator still works and the RPM indication is wrong. [FIXED] Background lighting of the M803 clock doesn't work. [FIXED] COM/NAV and Transponder mode settings are not saved. [FIXED] Cabin Heat and Carb Heat labels wrong on some English cockpits. The Felis Team has updated the Yakovlev Yak-40 for X-Plane to version 1.2.2. Download patch at the Felis Team Website. 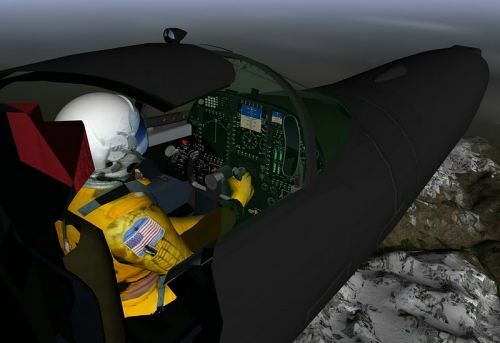 Shade Tree Micro Aviation has released the USAF U-2S for X-Plane. More information and purchase at X-Plane.org. Accurate flight model built by former USAF pilot and tested by a former U-2 pilot. Read the full report of how this model came to be at http://shadetreemicro.com/free/u2_story.txt . and deployed styles crafted by amerrir …. 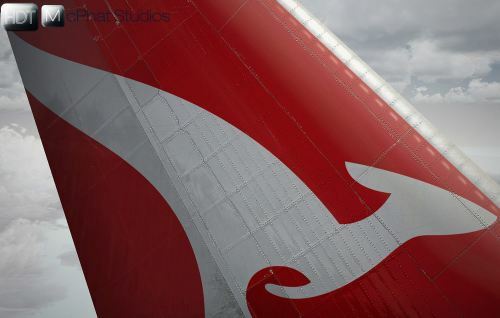 One of the premier X-Plane graphics specialists. 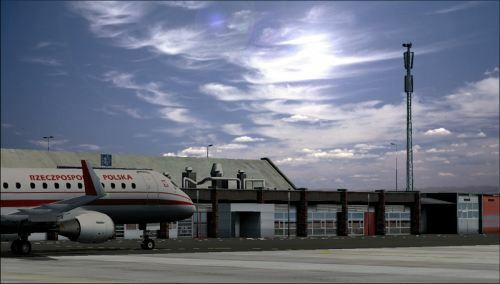 TropicalSim has released Pico Island Airport (LPPI) in the Azores for FSX and FS2004. Details at SimMarket. 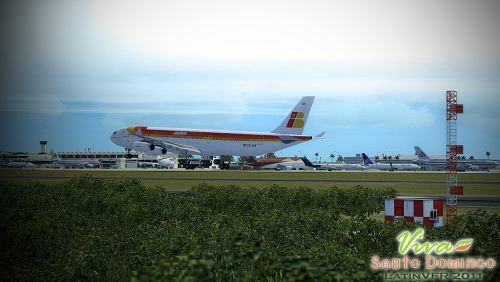 TropicalSim has released Santa Maria Airport (LPAZ) in the Azores for FSX and FS2004. Details at SimMarket. 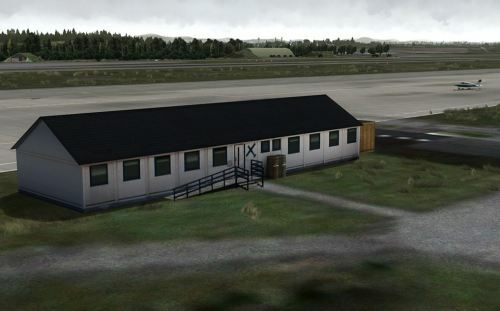 Drzewiecki Design has posted new previews of Bornholm Island 2011 for FSX and FS2004 in the Drzewiecki Design Forums. 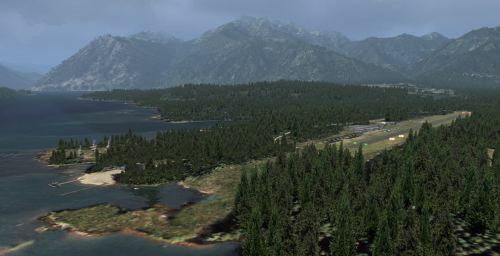 New preview pictures of the Stavanger X scenery for FSX from Aerosoft have been posted in the Aerosoft Forums. Avroliner Project has released the Avro RJ 85 for X-Plane. More information and purchase at X-Plane.org. 3D doors, vanes, pitot tubes, sensors, static ports, antennas, APU inlet and exhaust etc. Sim Skunk Works has announced development of the Lockheed F-104S Starfighter Version 3. Details at Sim Skunk Works. The interior cockpit is fully 3D, fully animated, all the onboard systems are functioning and have been played as the flight manual dictates. Weapon systems have been implemented, the model is able to drop weapon with visible ground effects both in single and multiplayer envinroment. Weapon drop has a true impact on areodynamics since station loads are really dropped. the model is 99% compliant with real performances tables and real test flight data. All peculiar aerodynamic behaviours of the zipper have been reproduced, adverse yaw, pitch-up, blc rolls etc..
Last but not the least the model is very light, a friend of your frame rate, no frame loss in single player, negligible in multiplayer. 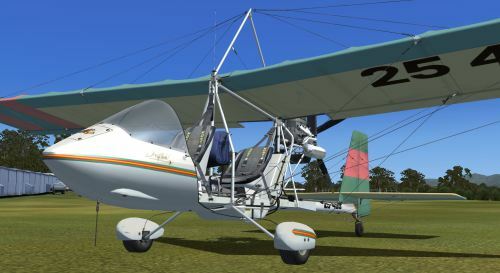 Ant's Airplanes has released the Drifter Ultralight for FSX. Details and Demo dowload at the Ant's Airplanes Website. "The Drifter 582 ultralight is a two seat, wire braced, tail dragger aircraft. The Austflight Drifter is an extensively modified version of the original Maxair Drifter and since the early 1980’s approximately 500 have been built. 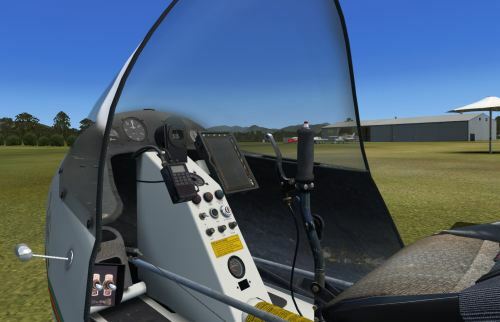 The aircraft has a high Dacron covered wing and the pilot sits in front of the passenger ahead of the wing thus providing an excellent field of view. A Brolga 4 blade prop is powered by a Rotax 582 engine which is mounted behind the pilot and passenger." 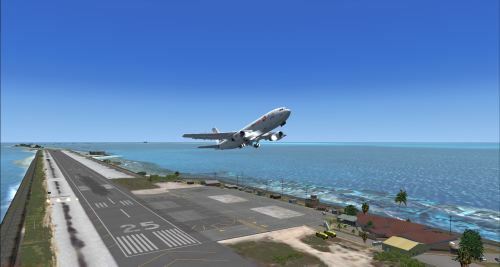 Pacific Islands Simulation has released the Marshall Islands for FSX. More information and purchase at SimMarket. Wave crash effects notable at coral/reef outlines as in RW. 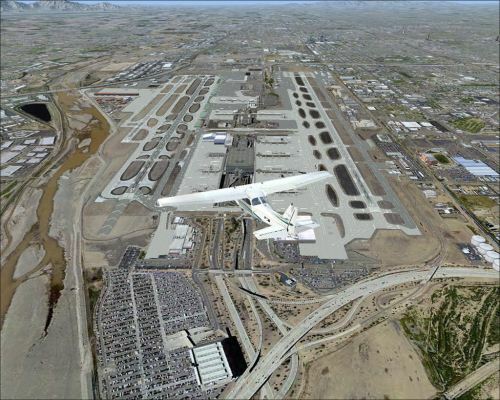 PC Aviator MegaSceneryX Southern California for FSX is now available as download from SimMarket. 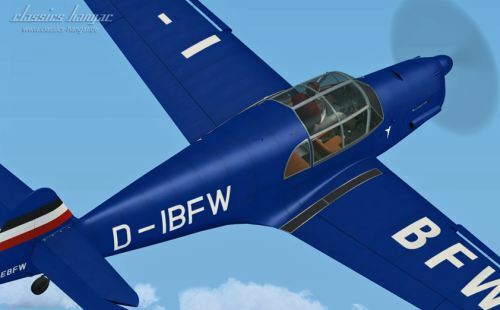 Premier Aircraft Design has released the freeware Beechcraft 99 for FSX and FS2004. Details at Premier Aircraft Design. Taxi2Gate has released general update 1.0 to Mexico City Intl. Airport (MMMX) V2 for FS2004. Taxi2Gate Forums. 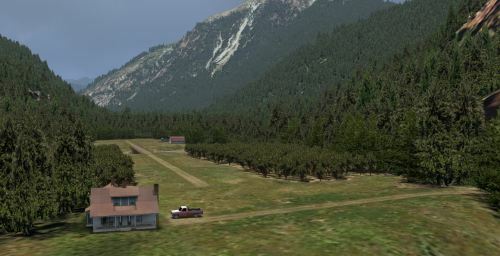 Orbx has released the long awaited Cushman Meadows (KCMW) and Bear Gulch (W38) for FSX. 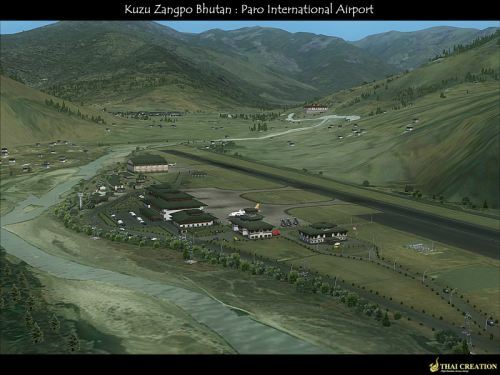 More details at Orbx. 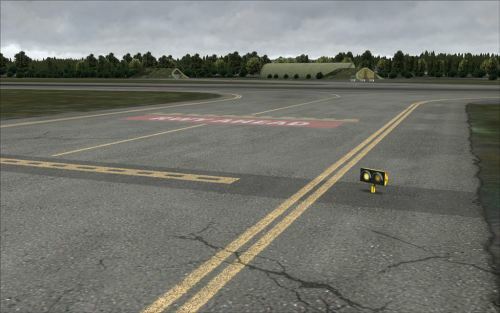 LLH Créations has released Challes-les-Eaux Airport (LFLE) for FSX. More information at the LLH Créations Website. - Textures on the high altitude airport having a resolution of 10 cm per pixel. - Hundreds of objects and buildings, castles and churches are modelled, making the immersion even more realistic. - Summer and winter seasons . - Textures completely reworked from photographs. - The scene is 100% compatible with all meshes and photorealistic sceneries. DreamFoil Creations has posted a external sounds video from their Robinson R22 for X-Plane. View video on YouTube. 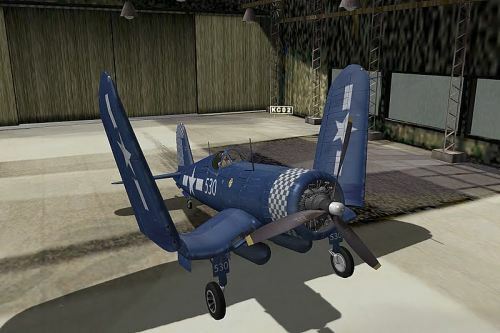 JCS Aircraft has released an updated version of their Vought F4U Corsair for X-Plane. More information at X-Plane.org. 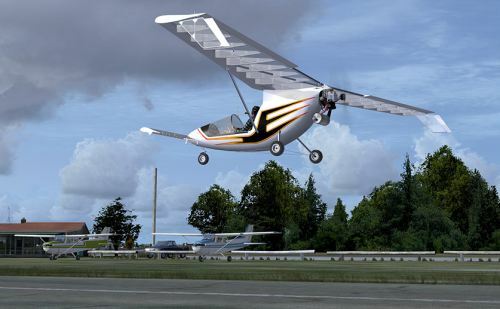 PC Aviator MegaSceneryX Phoenix for FSX and FS2004 is now available as download from SimMarket. 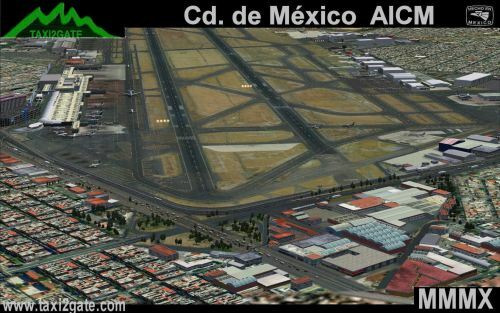 Taxi2Gate has released version 2 of Mexico City International Airport (MMMX) for FSX. More details at Simmarket. 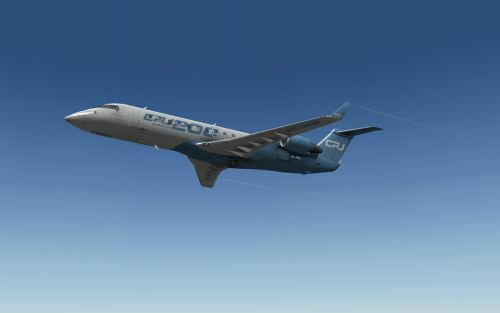 Aerosoft has updated the American Aerolites Falcon X for FSX to version 1.10. More information in the Aerosoft Forums. 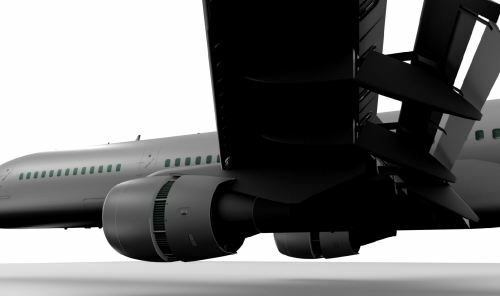 Ramzzess has posted new development screenshots from the Boeing 757-200 for X-Plane in the X-Plane.org Forums. 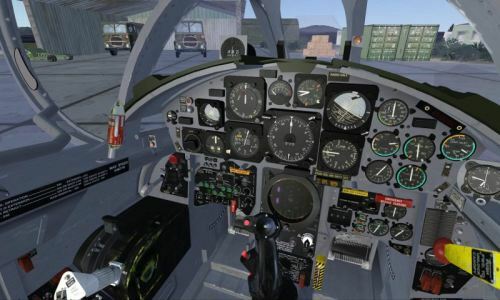 Khamsin has posted a virtual cockpit screenshot from the North American T-28C Trojan for X-Plane on the Khamsin Blog. JRollon has published the manuals for the soon to be released Bombardier Canadair CRJ-200 on the X-Aviation Website. The European Aircraft Developer Team (EADT) has released the x737 for X-Plane version 4.2.2 update. EADT Website. we have bundled a number of them with the friendly permission of the authors. Many thanks to all livery painters! LatinVFR has released Santo Domingo Las Américas Intl. (MDSD) for FSX and FS2004. Purchase at SimMarket. dozens of custom made buildings and objects in a 30 KM area from east to west. Mesh for the entire area of Santo Domingo. Thai Creation has released Paro Intl. 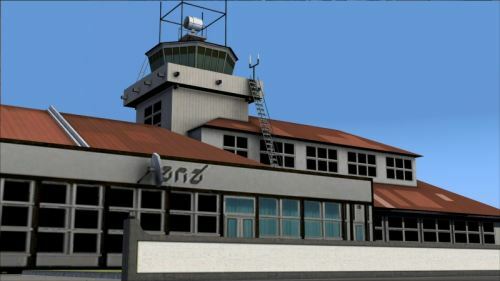 Airport (VQPR) for FS2004. More information and purchase at SimMarket. All major airport buildings included with high resolution textures. Rinpung Dzong (a fortress-monastery) is included. Custom made Gmax models of objects, cars and airport vehicles. High resolution runway, apron and taxiway texture. Animated cars (Outside the airport). Surrounding area including the village near by the airport. Typical Bhutanese houses, Gmax models not autogen. Airport environmental has been renovated. 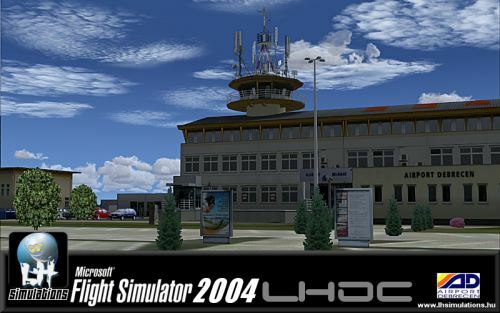 LHSimulations has released Debrecen Intl. Airport (LHDC) for FS2004 (FSX version to follow). Download at LHSimulations.